Barbara Sue Kytle Woodworth was born October 12, 1935, in Bakersfield, Missouri, to Florence Ollie Lair Kytle and Earl Ezekiel Kytle. 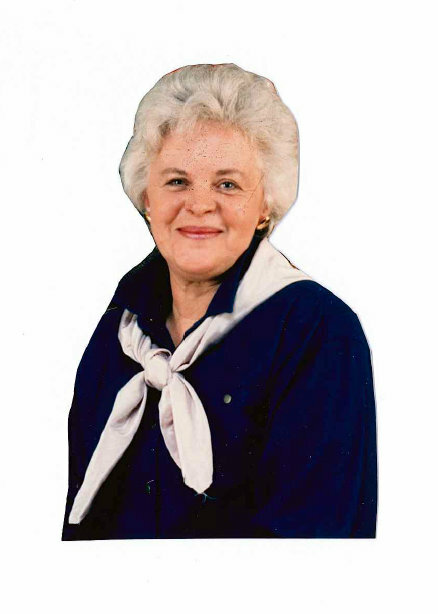 Barbara entered into eternal rest on April 12, 2019, at the age of eighty-three years. Barbara grew up on a small farm near Bakersfield, Missouri. She often reminisced about her beautiful pony and her pet pig, Susie; and her many, many friends who lived across the meadows, down the roads, up the hills—Barbara described her childhood as magical. She cherished those times in her life. Barbara graduated from Bakersfield High School with the Class of 1953. In 1954, she married the love of her life, J. T. Woodworth and to them were born four children; Connie Jo, James David “Jim”, Cindy Lou and John Patrick. For many years, Barbara was a stay-at-home mom. She enjoyed her neighbors, helping with P.T.A. activities, Vacation Bible School and faithfully collecting for the March of Dimes and other children’s charities. After her children began school, Barbara worked part-time at Anderson-Carte Dress Shop, Richards Brothers Dry Goods and International Shoe Factory where she worked until her retirement. She then began a new phase of employment when she and J. T. established Elledge House Antiques. Barbara truly enjoyed every moment spent surrounded by her favorite “old treasures” and her many customers, many of whom became beloved friends. Barbara loved people, especially children. She was an exceptional lady, a devoted wife, mother, grandmother, great-grandmother, aunt, cousin and loyal friend. She leaves behind many who knew and loved her. She is survived by her children, Connie and Don Henry, Jim and Tammy Woodworth, Cindy Woodworth Murray, John and Kim Woodworth, all of West Plains; grandchildren, Derek and Caity Woodworth, Jake and Jenna Woodworth, all of West Plains, Garth Woodworth, Bentonville, Arkansas, Jennifer Henry Davis, Cassville, Missouri and Jason Henry, West Plains; great-grandchildren, Brina Jacen Davis, Cassville, Missouri, Charlotte Leann and Sophia Dawn Woodworth, both of West Plains; her nephew, Mike Lott and wife, Becky, West Plains; many cousins; and many friends. The family requests memorial contributions be made to Alzheimer’s Association or St. Jude’s Children’s Research Hospital, and may be left at Robertson-Drago Funeral Home. Barbara’s life and legacy will be celebrated at a later date. Friends may pay respects at Robertson-Drago Funeral Home and sign the guest register book. We want to extend our deepest sympathy to each one of you upon the loss of Barbara. Each one of you will be in our daily thoughts and prayers. May God comfort, encourage, and support each of you thru this difficult time. Barbara was a very caring, loving person who will be greatly missed. We appreciated her and J.T.’s support of Corby as well. May God bless all of you. We send our sympathy. Pat was reminded that he conducted J.T’s service and was fellow Bakersville friends. Barbara and parents were friends & neighbors of Gertie. We send prayers for comfort. Prayers to the family of Barbara, she was my best girl friend in high school. Barbara was an awesome lady. A lovely tribute to a lovely woman. Allen and I send our condolences on her passing. Your mother was a beautiful lady and a special friend to so many. We are keeping all of her family in our thoughts and prayers. Our sincere sympathy.